Imagine spending time with murderers, digging into their childhoods to figure out what made them violent — and then convincing skeptical juries to take your conclusions into account. In his book Listening to Killers, Dr. James Garbarino reflects on 20 years spent serving as an expert witness. He told us what it’s like to work with killers. “I am not trying to use my professional expertise to justify violent crime, only to illuminate the reality of how one’s past pain can lead to one’s present infliction of pain on others,” the Loyola University Chicago professor writes in the book’s first pages. His path to the witness stand was a roundabout, if not completely surprising one: Before he entered psychology, he originally planned to be a lawyer, and then a junior high school teacher. Eventually, he became a psychologist and college professor studying child and adolescent development, with a particular interest in youth and violence. In 1991, a lawyer called and asked him to testify in a case involving a 16-year-old girl who’d killed another teen. “It wasn’t something I set out to do, but I sort of grew into it because of the work I had done,” he reflected in a recent phone interview. Doing that takes spending time with the accused to figure out what drove them to murder. In Listening to Killers, Garbarino cites individual cases — but he also widens his lens beyond specifics, pointing to the social and science-based factors that can lead an innocent youth down a life path that explodes into lethal violence. io9: How do you approach each new case? James Garbarino: I start with the idea that every person, no matter what they’ve done, is still a human soul, a human personality. The question is: How was their experience shaped previous to this point? Some people have certain vulnerabilities. Some have special experiences that have damaged them morally and emotionally. I’m not there to justify the crime, but to make it comprehensible as a human experience, rather than as some abstract evil or monstrous event. So if you start with the idea that this is a human being, you can add to it that mostly what you’re seeing — when you look at an adult killer — is an untreated, traumatized child. The child inhabits that scared adult — and controls, directs, and shapes their responses. That’s sometimes a useful way for people to look at it, because people know that toddlers don’t control their emotions very well. They’re actually very aggressive. And if you can imagine someone’s development being arrested there because of trauma, you can start to get a picture of how and why they behave the way they do. Is it difficult to earn their trust? It varies a bit, but they understand that I’m there for the defense. I always tell them, the only way that I can make things worse for them is if they tell me something that’s not true — especially if I go to court and talk about it, and some evidence emerges to show that’s not the way it was. I do work hard at establishing some kind of empathic connection with them. That’s more difficult with some people than others, but mostly they’re pretty ready to share their life. In many cases, they’ve had practice with it already; they’ve been interviewed by psychiatrists before, or social workers. It’s usually not the first time that somebody is talking to them about their experiences. How does the process begin — will an attorney contact you and see if you’re able to work on a specific case, for instance? — and what happens next? Usually it’s call or an email about a case they think I’d be useful on. It might be somebody I’d worked with before, or somebody recommended me — or they’d read one of my books, like [Lost Boys: Why Our Sons Turn Violent and How We Can Save Them], because they have a young offender. More and more, it’s people reading my new book, Listening to Killers. There’s a word-of-mouth network, and lawyers share information about who they’ve used who’s been helpful, and so on. 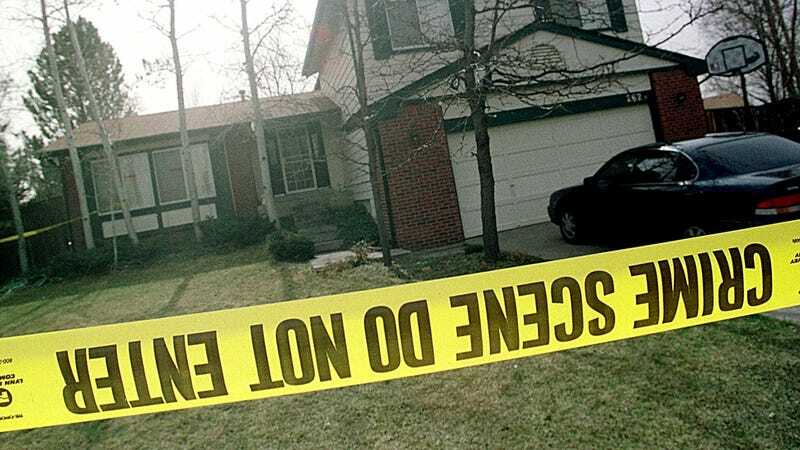 How did you decide which cases to feature in Listening to Killers? The intellectual structure of the book came first. And then I would think, for instance, “Who’s a good case to illustrate this point of how dangerous it is to allow troubled people access to guns?” So thinking through the topics came first, and then selecting the illustrative examples came after that. But sometimes, there were cases that gave rise to an idea to start with, and then I pursued the research on that issue. Your book mentions certain cases in which you’ve been engaged by a lawyer, but then the judge won’t allow your testimony. Why does that occur? When I first started, there were one or two cases where the judge didn’t see the relevance [of my testimony]. But I think over the last 20 years, the legal understanding of the importance of trauma and child abuse, and the understanding of aggression, has grown, so that’s lessened the problem. There have been a couple of times where there’s some very strange judicial ruling — there was a case in which the judge said unless the defendant testified, he wouldn’t let me testify. That was a bizarre thing, and it’s the only time it’s ever happened. There was another time where the judge ruled that because I was relying, to some degree, on the report of the social worker — which he didn’t consider a valid account — he would not let me testify, because he said it would be hearsay. It was just taking somebody else’s word for things, when actually what I was doing was taking somebody else’s report on things. Because I don’t serve as an investigator in these cases, I serve as an analyst, and somebody else had done most of the investigation. Listening to Killers includes a particular focus on what you call “the science of decision-making,” and what happens in the brain before a person decides to commit murder. Can you tell us more about that? In the last 30 years, there’s been a lot of new science about the brain. More and more neuroscience has come to illuminate, and in some cases inform, and hopefully improve, our understanding of human development and behavior. One area that’s included is how decision-making occurs in the brain: how emotional factors can overwhelm rational decision-making, how people who have experienced trauma may have trouble regulating their emotions, and may also have trouble with what’s called “executive function,” processing information to draw and make conclusions. These studies range from just studies of college students, to children, to adults. But certainly there have been studies of people who are in prison, murderers and others. One of the concerns is that parts of the brain that are involved in moral calculations sometimes have been damaged. The parts of the brain that deal with emotional connection and empathy may be underdeveloped. But it’s too easy to jump to the conclusion that the cause of their criminal behavior is their underdeveloped brains. It’s usually the case that they have a sort of genetic vulnerability for their brain developing this way, and then the early experiences of abuse, deprivation, and trauma have brought that negative potential to fulfillment. Whereas, if they’d grown up in a supportive, nurturing environment, there would have been compensatory experience and their brain would have gotten back on track. The book runs through reasons why people commit murder. You call them “crazy choices” because they don’t make sense to outside observers until they’re looked at from the point of view of the killer. For example: panic (“I’m already on parole, I better kill this witness or I’ll go to jail forever!”), curiosity (as in the case of “thrill killers”), and criminal practicality (like a drug dealer eliminating a business foe). The most unusual, to me, was “existential honor.” Is that something you often run across in your cases? I do a lot, particularly in individuals whose families or cultural origins are the old South, which is where the culture of honor is the strongest. In practice, that means a lot of African American young men have learned that culture. They get taught it by their parents or their peers, and they absorb it, and then it comes into play in these conflicts that arise. When you have that cultural background, it becomes a psychological urgency to defend and protect your honor. As I point out in the book, a couple of studies have found physiological arousal in people who are insulted who carry this honor system belief with them. It exists in other cultures around the world, but within the United States, it’s tied to the old South. Have you seen crimes and criminals change much over 20 years? Over time, [crime statistics] go up and down, but I think the issues have remained pretty constant. Until we do more about preventing early trauma leading to antisocial behavior, address all these issues of economic equality and issues of racism, it seems like we haven’t touched the factory that produces it, and it keeps turning into another generation of vulnerable individuals. Now that we have a better understanding of why people kill, is it possible to use that knowledge to prevent murders in the future? I think so. More and more, the movement toward what’s called “trauma-informed communities,” “trauma-informed education,” “trauma-informed therapy” — the common element is that you recognize the ways in which being a traumatized child challenges development, and then you respond to that. You provide therapeutic intervention. For example, there’s a guy I mention in the book, Robert Zagar, who found when Chicago instituted a program that involved jobs, mentoring, and anger management for high-risk kids, they reduced homicides by 41 percent. This is not fixed. If you get in early and address these issues of anger management, emotional regulation, thinking clearly in situations of conflict, mentoring — building a relationship with somebody who’s supportive and helps you clarify the ways you approach life — and the jobs program are giving people a chance to engage in productive, positive behavor. Then you get less violence, and I think that’s very encouraging.